Download Deyung – “Iyawo Mi” mp3 now. Listen & Download Deyung – “Iyawo Mi” as it is hotly served. Download Music MP3 Deyung – “Iyawo Mi” right here. 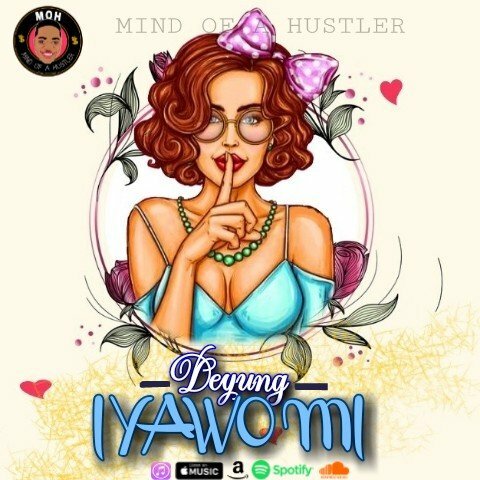 Deyung comes through with a new single titled “Iyawo Mi“. This new jam was inspired by his woman, in his word “This song is for the love my woman has for me, she always stand by me no matter what I face in life, she is there for me. I dedicate this song to her“. NB: Please be aware that Deyung – “Iyawo Mi” is hosted outside this particular website as we host NO file. In case of any copyearight claim and request for take down, kindly use our 'contact us' page to put a notice across.